In about 4 billion years from now, the Sun will leave the main sequence and will evolve into a Red Giant. While this stellar evolution is a spectacular cosmic phenomenon, it marks as well the complete annihilation of life on Earth. But long before that, in only about half a billion years, “the Sun gets bright enough to trigger a runaway greenhouse effect and turn us into Venus, sterilizing all life on the Earth,” warns Raymond T. Pierrehumbert, a veteran climate scientist who was recently appointed as the Halley Professor of Physics at Oxford University. However, Pierrehumbert argues that if we survive long enough, the human race can invent a technology that can easily block enough sunlight to save the Earth from a runaway. This translates to another 4 billion years of habitability, which must be an overwhelming achievement for mankind—and by extension, all other life forms on the planet. But not so fast in opening the party wine, though. We have to stay alive in the next two centuries first. And if economies, big and small, continue to rely on dirty energy as they have done in the past, we may never have that chance. Is the Philippines lost in track? Despite the global trend of shifting from coal to renewable energy, the Aquino Administration had taken the opposite track, and the one to succeed it is bound to do the same. 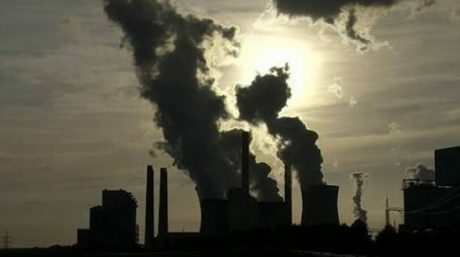 The former approved the operation of at least 27 coal-fired power plants ironically in no more than a month after the UN Climate Talks in December 2015, and the latter came to the defense of a $4-billion coal investment, arguing that the project is needed to assure investors of a stable power source. President-elect Rodrigo Duterte, also known as the “Donald Trump of the East,” went a little further by lambasting former US Vice President Al Gore and calling the United Nations “hypocrites” for telling developing nation states to go carbon-free while failing to sanction industrialized countries that are major contributors in the global carbon footprint. Climate-skeptic leaders justify the use of coal-fired power plants because they are the country’s dominant power technology that are widely available and economically cheap. However, Legarda challenged this argument and noted that the country has 246,000 megawatts of untapped solar, wave, steam, biomass, and hydro resources. This quantum of indigenous renewable energy potential is 13 times more than the currently installed capacity, more than enough to make the Philippines fully energy self-sufficient and independent. The world simply has no time and space for climate change skepticism. Further delays in coming up with a political consensus to address the challenges of climate change can be catastrophic especially to developing countries and small economies. According to the World Meteorological Organization (WMO), the Tropical Pacific is much warmer than average, exceeding 1°C over much of the central and eastern equatorial Pacific, consistent with the trademark of a strong El Niño. Therefore, even a minimal increase in the global average temperature will translate to a more devastating effect to tropical countries like the Philippines. The WMO also pointed out that the country is growing more vulnerable to natural disasters, as its water levels are projected to rise by up to 10.2 centimeters every 10 years—that’s three times more than the global average! The ambition of the Paris agreement is to set the limit of the Earth’s warming to only 1.5 °C instead of 2 °C. It is impossible to hit this target if the country does not break free from fossil fuels. If we do not act fast enough, it will come as no surprise that the Philippines will lose its territories not to an economic superpower that is China, but instead to rising sea levels engulfing its islands. Young people across the globe are risking arrest by demonstrating and demanding action to mitigate the effects of climate change. Break Free is one of the largest anti-coal movements happening in at least 15 countries worldwide, including the Philippines. Last May 4, over 10,000 people gathered in Batangas, Philippines, for the “Piglas Batangas! Piglas Pilipinas!” campaign. Piglas is a call for the incoming president and other new government officials to scrap the Pinamucan coal plant and the 26 other coal-fired power plants in the pipeline. It is also a demand for the phase-out of the 19 existing coal plants nationwide. Now that the Philippines will be under the administration of another coal-minded president, we can expect another drama of slow energy transition from fossil fuels to renewables. But eco-illiteracy isn’t something we can endure for the next six years under the new leadership. We have to do something and get involved in changing the climate situation. To quote Al Gore, the will to act is in itself a renewable energy. We have reached a point when young people are no longer afraid to speak up and make their voices be heard. We do not want a government dictating on us what to do and how to do it. We protest not to beg for a fast and responsive climate action from the government, but rather to demand it. For when those in position turn the blind eye to the reality of climate change and refuse to heed the call to break free from fossil fuels, we will always be here to make a motion and they are not going to like it. Looming energy crises should never justify the use of energy from fossil fuels. While coal is economically cheap, it can cost lives. Our continued dependence on dirty energy grossly undervalues the future and therefore violates the principle of intergenerational neutrality. This concept is when people of the present thinks their existence is far more important than the welfare of people living in the future. Our greed of satiating our high energy demands to boost economic growth even at the expense of the environment will surely make the succeeding generations pay the big price. If we fail to take a fair share of responsibility in making our planet healthier and more livable, then we can begin refocusing our efforts to space exploration and spread humanity to the solar system. Roy Joseph Roberto ,sir ,very interesting article, would love to hear more of this articles in getrealphilippines. There seems to be not very much of an improvement in phasing out coal in this country but i am happy to see more activist trying. the same attitude applies in Australia, which has humongous reserves of coal in Queensland and is shipping the stuff by the shipload and even has a designated port at Gladstone for just this very project, without a thought for any possible future damage to the Great Barrier Reef. Both Australia and Philippines have abundant sunshine and can move to solar plants and maximize their energy output. It took Fukushima to persuade Germany to phase out nuclear energy, but it’s ironic that it has to depend on coal during the transition to alternative energy sources. Here, as in Australia, it seems the political will just isn’t there. Maybe in Australia it might take an enormous oil spill from a coal tanker to wake people up. and maybe a few more supertyphoons here and in Australia will make us all think again. As much as we wanted to phase-out coal-fired power plants, we need to take into consideration the crude oil price as well. As there are various technologies available, we need to consider the cost of producing the power (USD / MW, or PHP / MW). For a country such as the Philippines, I believe we cannot accommodate higher electricity rates. As such, our options are being limited based on the selling price that is acceptable to the public. Unfortunately, our country is not well off and we cannot afford expensive electricity. We are too paranoid of nuclear energy, thus I believe we need to settle for fuels such as coal or biomass (like rice hull). Climate change is a sham. The earth has been cooling down and warming up on its own with or without humans. Just how many ice ages have the earth cycled from as a result of its own global warming? I would say countless as it has been happening since the earth became earth. The key here is utilizing fossil fuels as efficiently as possible, and yes mankind has made strides in this regard. Coal fired power plants now are much much more efficient than the beginning of the industrial age. Internal combustion engines now are able to produce more work per unit of fuel than they were at the beginning. More sources of fossil fuels are now made available. So in conjunction with renewable energy sources, mankind can and will be here on earth for a very very long time. That being said, there is no point for the Philippines jumping the environmentalist bandwagon, as we all know that renewable energy sources investment will cost more per MW produced. The cost we save can be more utilized for humanizing our countrymen with substandard living conditions. I think that is a much better use of funds than saving a butterfly from extinction. Well said. The cost of “renewables” is much higher than coal, oil or natural gas. The poor in the Philippines needs cheap energy. The climate has not warmed any significant amount over the past 60 years! Climate change is a hoax and scam. He describes the world he was shown ‘a couple hundred years from now’. Sorry, No “Future of the Philippines” account. Wait till I get back from my own NDE trip. The Polar shields of this Planet Earth continue to deteriorate, because of widespread Carbon Dioxide emision, producing green house effects. In 1964, Russian Astrophysicist, Nicolai Kardasev; invented and developed, the : KARDASEV SACLE. It is a method of measuring technological advancement, based on the amount of energy a civilization utilize. Type I Civilization: (1) large application of fusion power (hot and cold fusion). (2) Use of Anti Matter in large quantities to produce power on scale magnitude. (3) Renewable Energy, or converting Sunlight to Electricity. Type II civilization : Use the same techniques as Type I civilization; but applied to a large numbers in our solar system. The use of DYSON SPHERE and DYSON SWARM, to tap energy. The use of ACCRETION DISC to derive energy from black holes. The use of ANTI MATTER; STAR LIFTING AND multiple star system, to produce and derive energy. Type III civilization: Get energy from one or more of our nearby galaxies. From the energies of supermasive Black Holes and White Holes. At present, we are in the Type 0 civilization. We use: firewood, charcoals, coals, oil, and other fossil fuels, as energy. We have to advance in our sources of energy. The time is now! Man, I think I want to take the bodies of these coal-minded idiots and use them as source for biomass energy. At least we were able to put them to good use…..
“British physics superstar Stephen Hawking has some words for mankind, and they are scary and prophetic: That humanity is at risk from a series of dangers of our own making. He said that even more than natural disasters, there are higher chances that our planet will be destroyed because of human aggression. He furthered that “it may have had survival advantage in caveman days, to get more food, territory or partner with whom to reproduce, but now it threatens to destroy us all.”” – So, still wanna blame the Devil or other supernatural beings? Besides, wasn’t it we who even created these beings (at least in our heads)? This is why I love stories which portray humans as also the source of destruction and evil (one of which is Kamen Rider Drive)……. Wake up Roy, even the platform you are using now, the internet, computers, are making use of the industry that you want to shutdown, the source of electricity. If you really care for mankind, think of the harm the Gore propaganda has inflicted into mankind diverting billions of resources to debunked theories rather than spending it solve mankind problem on livelihood and poverty. Duterte is on the right side being coal-minded, you are on the wrong side favoring debunked gore imaginations. Will switching to renewable energy make us economically vulnerable and lead to economic instability thus making the country inhospitable in a decade? Our country relatively doesn’t consume a lot of power. Yet, we are still paying more than our more power dependents neighbors. It may be attributed partially to monopolies controlling distribution. But won’t switching to renewable further worsen our situation? A quick look at WESM would show that power from solar means to be more expensive. Are we willing to take the burden? Now, who will benefit most from switching to solar or wind? Isn’t it other nations who have the technology? To be efficient, these power structures need the newest technology and that technology is not with us. Coal is not with us as well. But it sure is cheaper. Plus, how much or a dent on the environment can our meager demand cause if it is coal-ASSISTED? I don’t know the answers personally. But I hope you took these questions into consideration when you wrote this piece.